1. Instagram founders out: Shares in Facebook were lower in premarket trading after Kevin Systrom and Mike Krieger, the founders of Instagram, announced they will leave the business. Systrom, Instagram's CEO, and Krieger, its chief technology officer, sold the business to Facebook (FB) in 2012 for $1 billion. They said they were "planning on taking some time off to explore our curiosity and creativity again." Bloomberg News reported that Systrom and Krieger are leaving because of tensions with Zuckerberg over the direction of Instagram. Spokespeople for Facebook and Instagram declined to comment further on why the executives had decided to step down. 2. Nike earnings Nike (NKE) is set to report earnings after the closing bell. Nike has had a good year so far. US sales are growing and the stock is up 35%. The company recently took a gamble with its new "Just Do It" campaign featuring Colin Kaepernick, but early indications suggest it has delivered another boost to sales. 3. Versace on the block: Shares in Michael Kors (KORS) dropped 8% on Monday following reports that it's nearing a deal to acquire Versace. Bloomberg reported the US handbag maker is close to buying Versace in a deal that values the Italian fashion house at around $2 billion. The purchase could be announced as soon as this week. 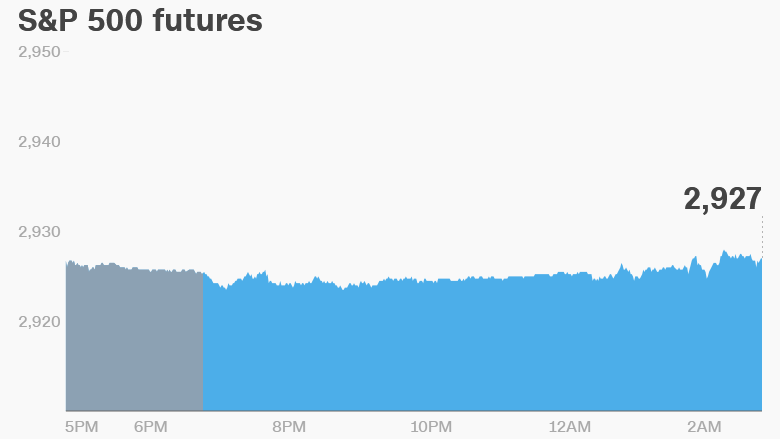 The Dow Jones industrial average closed 0.7% lower on Monday, while the S&P 500 dropped 0.4%. The Nasdaq gained 0.1%. 5. Earnings and economics: Manchester United (MANU) will release earnings before the open, with Cintas (CTAS) and KB Home (KBH) following after the close. The Conference Board will publish its consumer confidence report for September at 10 a.m. ET. Novartis (NVS), the Swiss phrama company, said it would cut approximately 1,700 jobs in its home market in the next four years. Shares gained 0.9%.